As an insurance producer, is your financial future in jeopardy? 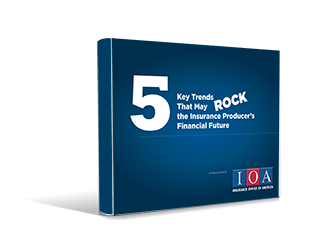 Get up to speed on the top five key trends that are already having a profound effect on the future of the P&C insurance producer. From mergers and acquisitions to more than a quarter of the workforce retiring to rate changes and more, you need to know what lies ahead. Will the current trends affect my position and my future? Will my agency be bought up and leave me high and dry? Will the need for quick ROI mean increased pressure on me? Is there a better option for me? Download the ebook today to be better informed about your future. Download the "5 Trends" Ebook!